Support almost all audio formats . The app contain audio split and audio select, you can choose one audio item then click “Split Edit” or “Select Edit”. The app is the first app to do audio split and select, then converge all editing in the timeline track. 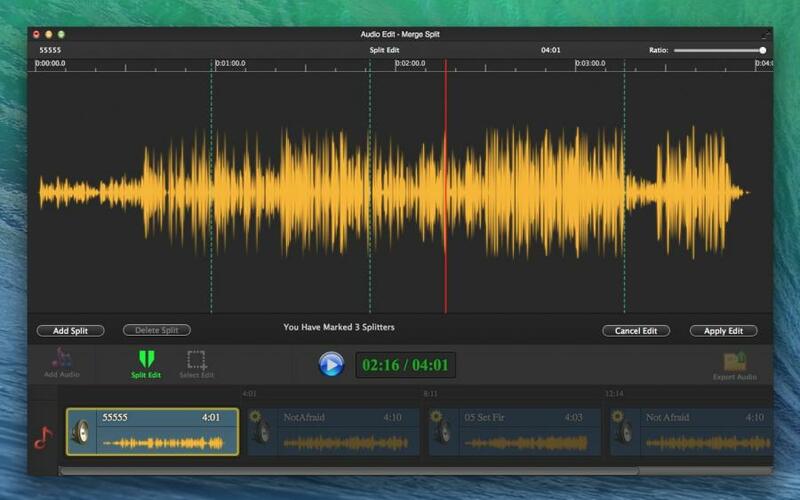 The app contain all audio edit function, trim, cut, split, merge, set volume, fadein/fadeout and set ID3 info . The app is the first app to do it . 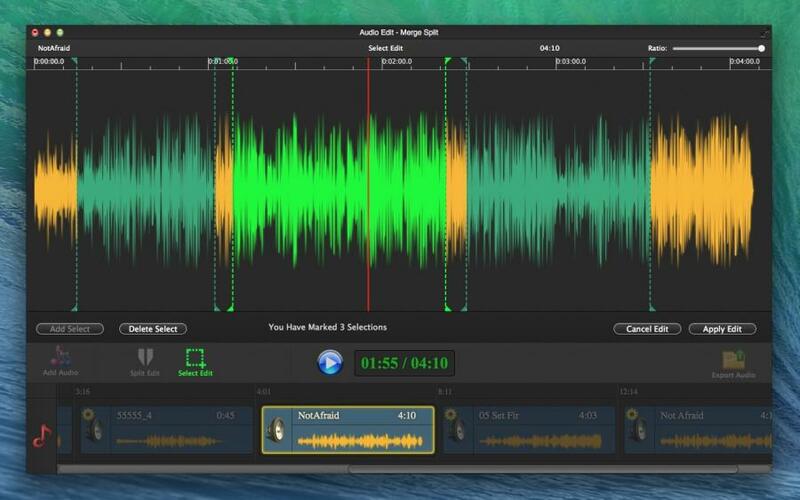 The Mac’s most popular audio edit software . You can trim, cut, split, merge and set volume, take advantage of the very latest Apple technologies. You can edit your audio on timeline by audio waveform. 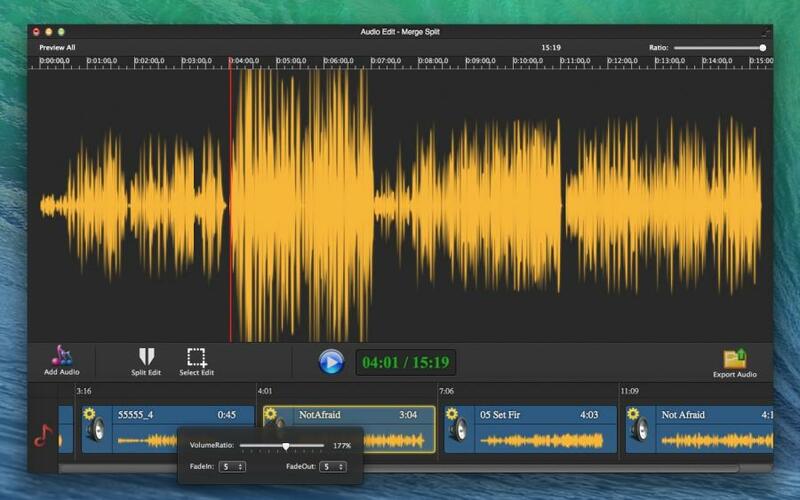 The app audio edit function contain audio trim, audio split, audio merge, fadein / fadeout, setting audio volume, setting ID3 info and so on . 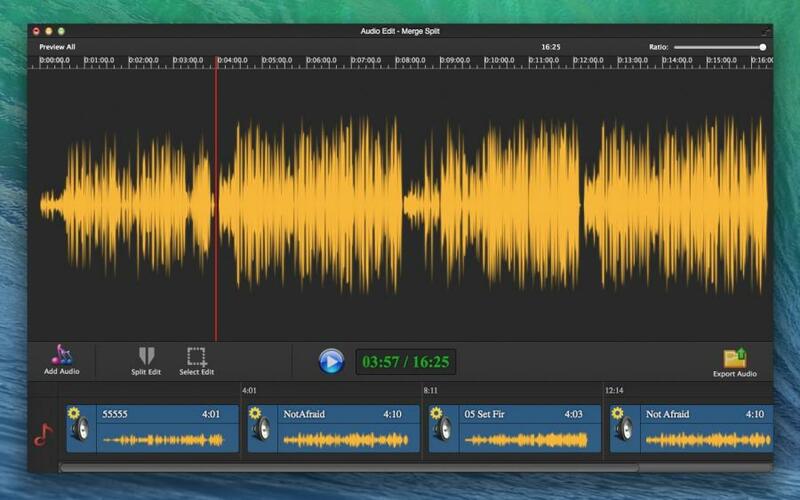 The app is the most complete audio edit software . The app is easy to be used, you can save and open your project . You can do your all working on timeline, it’s so convenient. Support audio formats contain MP3, FLAC, WAV, WMA, M4A, AIFF, FLV, OGG, MKA, AU, CAF, AIFF, AC3 and many more . The app can get audio from video file. Support imported video format contain (AVI, Mp4, MOV, M4V, FLV, WMV, MKV, RM , MPEG, TS, RMVB, TP, MTS, M2TS, MPG, Dat, 3GP, 3G2, 3GP2, dv, mod; f4v, ASF and many more). 3. Merge audio file . 4. Set audio volume . 5. Fadein / Fadeout . 6. Stitching your audio clips. 7. Support almost all audio formats . 8. Support import almost all video formats . 9. 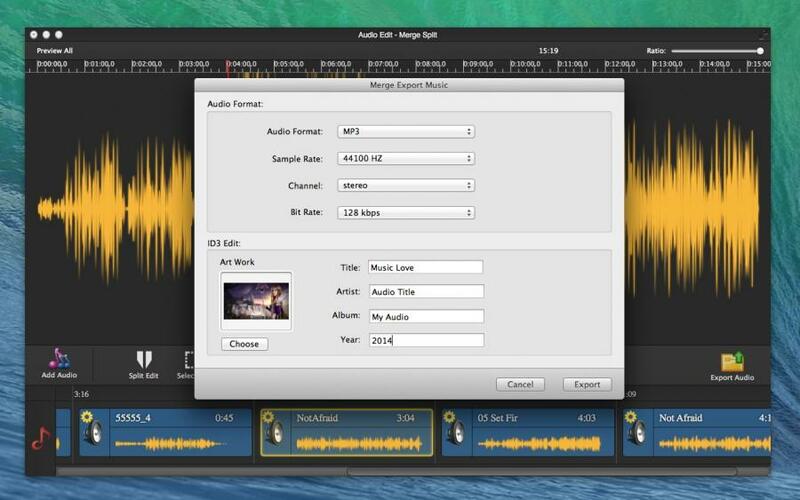 Get audio track from video file . 10. Save and open project . 11. Setting ID3 info ( Artwork / Cover , title, artist, album, year ) .